All teams in all leagues must register directly through the Missouri Hockey registrar before MIHOA will assign officials to games. If your team is not registered with Missouri Hockey, please contact the Missouri Hockey Registrar for the registration process. ​For all Missouri Hockey Youth Division Travel league games and Gateway Recreational Hockey League games (GRHL), the Youth Division league is responsible for submitting a complete schedule of games to MIHOA for the purpose of securing officials. This includes pre-season declaration festivals, state championship league playoffs and regional qualifiers. Youth Division member clubs who have Central States Development Hockey League (CSDHL) teams are responsible for submitting schedules of the teams home games that they will need officials for during the course of the regular season in addition to any playoffs that may occur. Youth Division member clubs who have Tier 1 teams are responsible for submitting schedules of the teams home games that they will need officials for during the course of the regular season in addition to any playoffs that may occur. 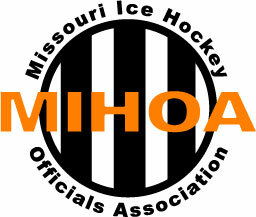 Teams are required to be registered with the Missouri Hockey Registrar prior to MIHOA scheduling officials for any games. The Missouri Hockey Registrar will send the information to MIHOA. Once this verification of registration is provided by the Missouri Hockey Registrar, team access can be set up. The information needed by the Missouri Hockey registrar is the USA Hockey Official Team Registration/Roster which must be completed and submitted via the USA Hockey online "Registration System". This form can be created using the online system which your club registrar has access to. 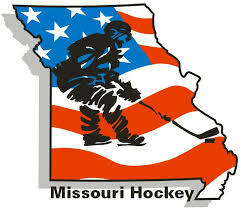 The form will be electronically transmitted to the Missouri Hockey Registrar. A list of clubs and teams will be posted on the MIHOA Registered Teams web site page along with the date that MIHOA received the verification of the registration from the the Missouri Hockey Registrar. Team personnel (coaches and managers) shall use the following link: Team level access password request. If your team is NOT LISTED on the drop down selection menu, you can not get access to the scheduling system and must contact your clubs registrar for help with the issue.